Academic and industrial laboratories can now easily collect routine high-resolution nuclear magnetic resonance (NMR) data on molecules in solution using the Thermo Scientific picoSpin 80, a portable, competitively-priced NMR spectrometer built for benchtop operation. The instrument’s magnet, rated at 2 Tesla, is designed to provide superior resolution of chemical and structural characteristics not available using lower magnetic field strengths. 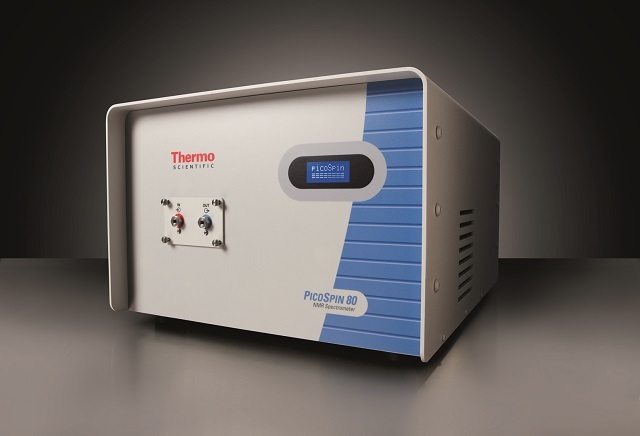 Based on published specifications, the Thermo Scientific picoSpin 80 spectrometer features the highest resolution of many widely-known, currently available benchtop NMR instruments, offering scientists a complement to the already popular Thermo Scientific picoSpin 45 spectrometer. 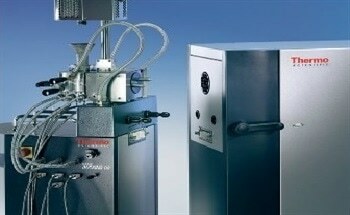 Easy-to-operate fluid capillary system that does not require NMR tubes or other consumables. 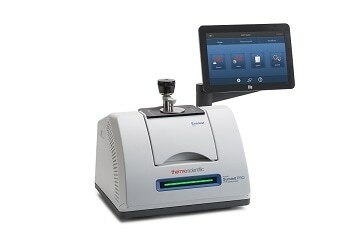 Thermo Scientific is one of the premier brands of Thermo Fisher Scientific Inc. More information on Thermo Scientific picoSpin 80 can be found by visiting www.thermoscientific.com. Thermo Fisher Scientific Inc. is the world leader in serving science. Our mission is to enable our customers to make the world healthier, cleaner and safer. With revenues of $13 billion, we have 39,000 employees and serve customers within pharmaceutical and biotech companies, hospitals and clinical diagnostic labs, universities, research institutions and government agencies, as well as in environmental and process control industries. We create value for our key stakeholders through three premier brands, Thermo Scientific, Fisher Scientific and Unity Lab Services, which offer a unique combination of innovative technologies, convenient purchasing options and a single solution for laboratory operations management. Our products and services help our customers solve complex analytical challenges, improve patient diagnostics and increase laboratory productivity. 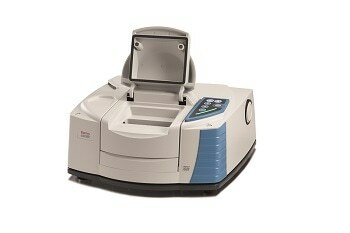 Visit www.thermofisher.com.